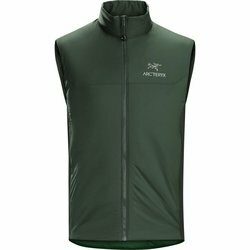 ARC'TERYX Atom LT Vest. This sleeveless core-heater hugs the body with efficient Coreloft insulation to preserve warmth while durable fleece side panels made with Polartec Power Stretch with Hardface Technology increase active use breathability and mobility. A wind and moisture resistant outer shell extends stand-alone usability.